There are a number of good reasons to execute a power of attorney for finances. If you are going on vacation for several weeks, for example, you can name another person to handle certain transactions while you are gone such as entering into a contract or selling property. You can also enable an agent to oversee routine transactions that take too much of your time to perform, like picking up client’s checks and depositing them in your account. 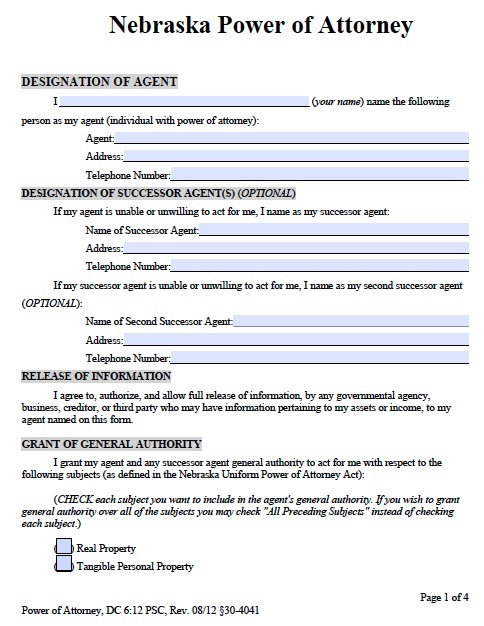 You can authorize your agent to perform nearly any transactions you have the authority to perform, or you can authorize the agent to perform only one or a limited number of specified actions. These can include withdrawing money from your accounts, managing or selling real estate, managing stocks and bonds, and operating your business. You can also write any special instructions on the form, for example, that the agent must record his transactions in writing and deliver a copy to you at regular intervals.